Train your Akita so his aggression is under control. The Akita, a Japanese dog, is a working breed. The average Akita is powerful, loyal, courageous and weighs about 100 pounds. The Akita is quiet, except to warn about intruders. This makes him a natural guard dog. Akitas have an aggressive trait; the Japanese breed them to propagate it. Akitas have an aggressive gene, which can be difficult or even impossible to change, according to Dan Rice, author of “Akitas.” Their temperament can change from playful one minute to aggressive the next. So, never leave small children or other animals alone with one, recommends the American Kennel Club. If you want a safe and peaceful household, go with your strong-willed breed to obedience training classes to learn how to curb your Akita's aggression. Classes teach you to gain and maintain your position as leader of your Akita. Because Akitas are strong-willed dogs prone to aggression, it’s important they are molded during the first few weeks of life. 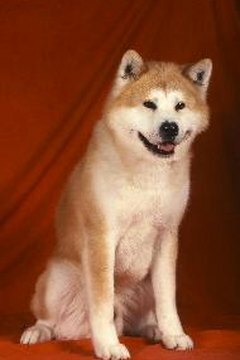 Responsible breeders socialize Akitas to humans and other animals; you need to continue to socialize an Akita throughout his life. Spaying and neutering can help socialize an aggressive dog as can obedience training that you maintain by working with your Akita throughout his life. Entering an Akita in dog agility — a competitive sport that tests a dog owner's skill in training and handling — can also socialize an Akita. A well-trained, well-behaved dog is a socialized one. An Akita owner needs to be a strong leader; otherwise, the Akita will take that role, which is a natural role for Akitas. An Akita can be demanding, territorial and protective. By training and working with your Akita, you maintain your leadership role. "Few if any timid or reclusive Akitas exist," says Rice. Although they can be friendly and outgoing to other dogs with which they were raised, some of them never trust another dog, even a puppyhood pal. An Akita is not the type of dog to bring to a dog park, for example. He should never be off-leash with other dogs nearby. It’s best to have some experience with dogs before getting an Akita. This tough breed can be difficult for a first-time dog owner to handle. Although they might look cute and cuddly as puppies, they need to be trained and raised to be friendly, outgoing and accepting of strangers. Small animals, such as cats and little dogs, can become prey for Akitas. Akitas possess a natural instinct as guard dogs. They protect your property against intruders, but they are also territorial and will not welcome guests to your home unless you are there. If your Akita spends time in a fenced backyard, padlock the gate to keep people out. If a child comes in your yard to retrieve a ball she accidentally threw there, for example, the Akita could hurt her. It’s dangerous to get down on the Akita’s level near his face and stare at him. Akitas interpret this as aggression on your part, and they will react aggressively back. They will challenge you for the dominant position in your household, but you can correct this by consistent training. Never abuse your Akita or act aggressively to him. You could make him more aggressive by doing so. Treat him with respect, and you and your Akita should develop a close bond. How Much Time Does Caring for Poodles Take?